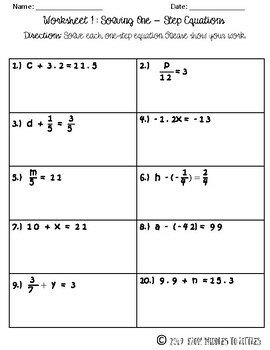 The following worksheet packet involves 3 pages of worksheets. 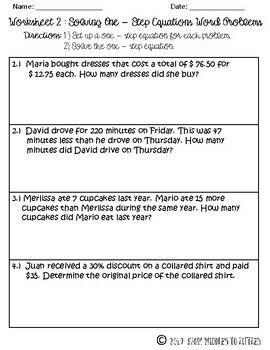 Worksheet 1 (one page) involves computation of 10 one-step equations (including fractions, decimals, and negative numbers). 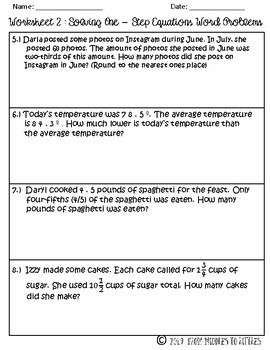 Worksheet 2 (two pages) includes 8 word problems. 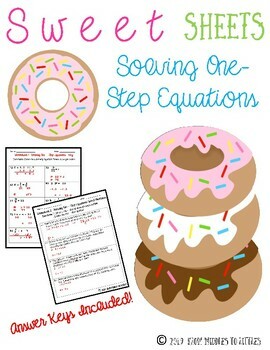 For each real-life problem, students must set up the equation as well as solve for the variable.